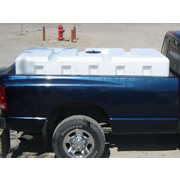 CRMI-500RT | Designed for convenience, these utility tanks are perfectly sized to haul in the bed of your pickup truck. These tanks feel lightweight, but do not underestimate their strength. 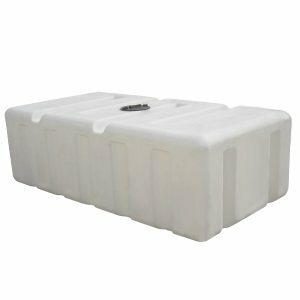 These utility tanks are also very durable and made to last. The polyethylene resin is made with UV inhibitors to protect the utility tanks from sun damage. People can use these tanks for farming, pressure-washing and de-icing applications. Able to hold liquids up to 2.0 specific gravity, these utility tanks can hold a broad PH balance without becoming damaged. Common contents people store in these tanks include different agricultural chemicals, liquid feed, fertilizers and potable water. The molded-in grooves on these tanks help with stability and tie-down. This is a 2.0 specific gravity tank. Class: 300, Ship Weight 240 lbs.